If you really want to take your shooting game to the next level, you need to have the best shooting gloves. Is it a surprise that shooting gloves are that important? Well, they really are, and you might also be surprised that they are not only there to protect your hands. Shooting gloves can also help in steadying your grip while you hold your gun. At the same time, it can also make it easier for you to hold a gun for a long time since your hands will not exert too much effort to grip the gun properly. Lastly, wearing gloves can also catch the gunshot residue so that you do not have to wash your hands thoroughly after your shooting session. There are still a lot of advantages of wearing shooting gloves, but the ones that we enumerated above are the main factors that we are going to look out for as we review three shooting gloves to find out which is the best one. We are also going to look at their unique features as well as the pros and cons of using each of them. We are starting off with shooting gloves that might mean business. This is the case because a quick look at these gloves and you might mistake it as gloves that are used by Special Operation Officers of the State. However, let us take a look if these gloves are more than its design. 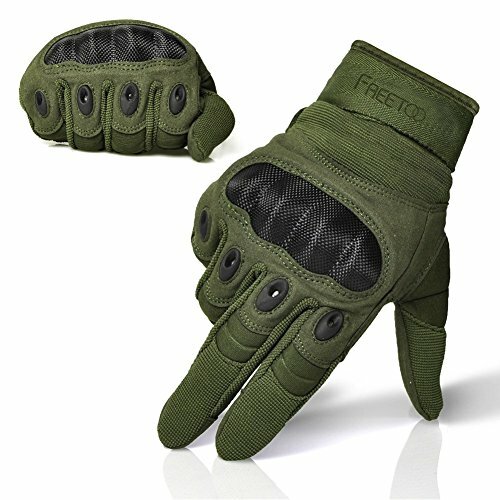 The FREETOO Tactical Gloves can protect your hands from scratching and any abrasion due to its heavy-duty design. It also has a snug fit with your fingers and palm for better movement, and it has an adjustable Velcro at the wrist. Additionally, it is neither bulky nor stiff. More than that, it is made of breathable and odor-free materials that are paired with a vent that has a functional design. With those, the gloves will be comfortable to use even on hot weather or cold temperatures. Also, this pair has anti-skid gridding at the palm that is made with dual-layer synthetic leather, which can help with your grip. 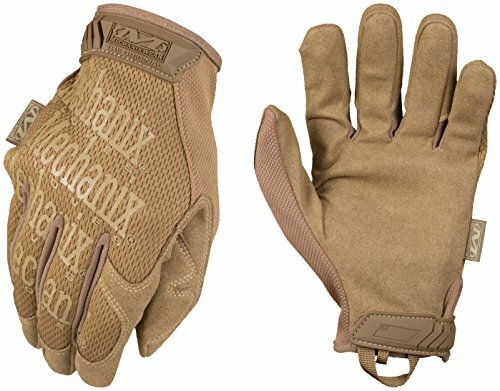 Lastly, it also has knuckle padding, reinforced palm, and double stitching to make the gloves ideal for heavy use and to handle tactical equipment. The part that creases can sometimes be uncomfortable. Moving on, we now have a pair of shooting gloves that focuses on functionality, but most importantly, comfort. We will see if it is as tough as it should be without sacrificing the fact that your hands will enjoy wearing this pair. As far as comfort goes, it is deemed so due to it being made of 100% spandex, so it is breathable and adjusts to the contours of your hands. These gloves also have TrekDry technology which adds to that form-fitting effect. This also helps with the comfort aspect and can keep your hands cool. More than that, there is a thermal plastic rubber closure that has a loop and a hook for the gloves to have a fit that is secure. As for the palm, it only has a single layer, and it is seamless. Additionally, the web loop is made of nylon to make it convenient for you when storing the gloves. Lastly, this pair can be washed using a washing machine. Lastly, we have a pair of gloves that is different from the other two shooting gloves because this particular product does not go all the way to cover your fingers. Hence, some people refer to it as fighting gloves. The design of this pair of gloves is just like what you see in movies where the protagonist is training for the upcoming fight with the antagonist. Movie references aside, this pair is still a shooting glove in such a way that it can help with the grip and can protect your hands. It is also made of spandex which has fibers that are elastic for a pleasant and comfortable fit. As for the knuckle guard, it is made of PC material which is more robust than the usual to protect your knuckles better. Additionally, it was made to be lightweight so it can also be a pair of gloves that you can use for other projects. Do take note that the company releases pairs based on American size, so just make the necessary adjustments when viewing their size chart. Additionally, in the knuckle part, it has a waterproof hole which is also breathable. As for the thumb part, it is made of a different fabric that is ideal for wiping the sweat off of your face, while the palm has a non-slip suede material which also helps neutralize odors. Honestly, all of the gloves that we reviewed will work well in the shooting range, but if we have to pick one, the best shooting gloves are the FREETOO Tactical Gloves. 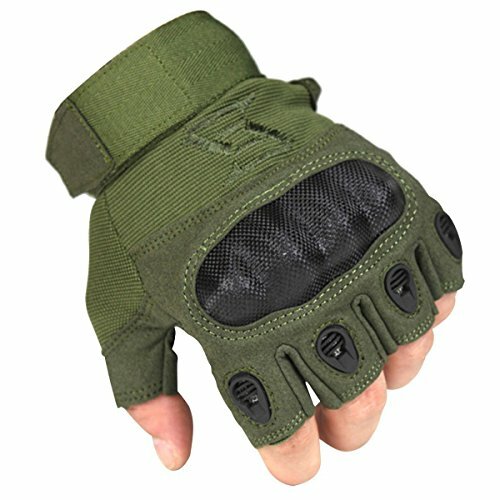 Surely, you will feel like a badass when wearing these military-grade shooting gloves. Durable and functional: that is FREETOO gloves for you!